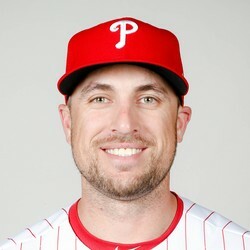 Lane Adams has agreed to a minor league deal with Lane Adams worth $570,000 in the big leagues. Adams hasn't played a whole lot in the majors, he's slashed a career .263/.333/.467 with seven homers through 137 at-bats. Don't expect him to play a whole lot in the majors this year.